Every time I do a BOTW that features a new brewery, I hope the beer is enjoyable and the brewery has an interesting story to tell. This week when I bought 2 cans of Czechvar Pilsner, I found an interesting story. Czechvar is brewed by Budweiser. No, not the US one but the Czech one and no they are not associated it any way. 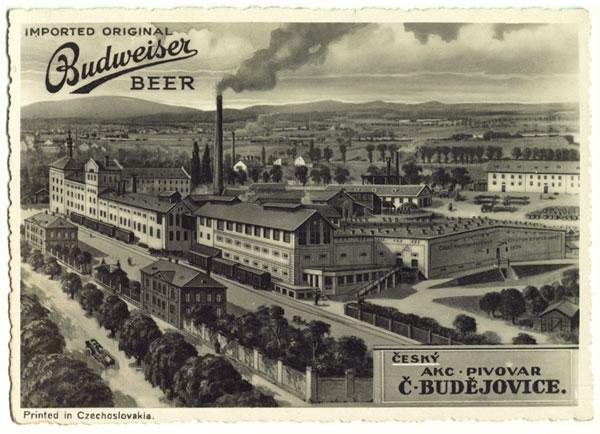 In 1895, Czech Share Brewery in České Budějovice in the Czech Republic was opened as a Nationalized company. One of the beers they sold and exported to the US was Budweiser which in German is an adjective describing something or someone from the city of České Budějovice. Makes sense. Budweiser was a registered trademark name for the Czech Share Brewery. Problem was that earlier in 1795, in the same town, Budweiser Bier Bürgerbräu was founded. In 1875, this company started exporting to the US it's Budweiser Bier. Meanwhile back in the US, in 1876 Adolphus Busch came up with their own Bohemian-style" lager for Anheuser-Busch which they called, what else? Budweiser! Three companies all with their own version of Budweiser. Things were ripe for lawsuits. In 1907 the US and Czech brewers made an agreement that Anheuser-Busch could market its beer as Budweiser but only in North America. 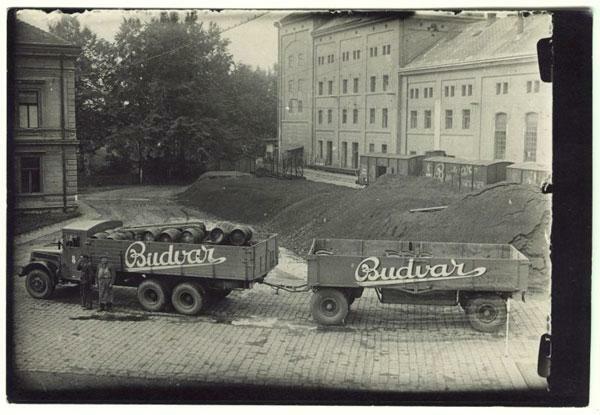 In the 1930 the name Budvar was registered by Czech Share Brewery and in 1936, the company changed it's name to Budvar. During World War 2, the company was taken over and ran by the Nazi's and after the war once again became a nationalized Czech company. In 1967 Budvar became an independent company called Budweiser Budvar Brewery which still sold, yes, Budweiser. Finally in 2007 Budweiser Budvar Brewery became nationalized once again. The same year Budweiser Budvar made an agreement with Anheuser-Busch. Anheuser-Busch still cannot sell Budweiser in the European Union. Budvar cannot sell Budweiser in the US. Anheuser-Busch would market Budvar's Budweiser, but under the name of Czechvar. The name Czechvar is a combination of two words – "Czech“ for the country it is brewed in and "pivovar“ which in English means brewery. So today I am tasting a Czechvar which really is a Budweiser. Hopefully it is far superior to the Anheuser-Busch version which is very close to water. It pours with a very white head which dissipates quickly leaving behind no lacings at all. The beer is a light golden colour which you can see right through. There is a slight hop note when I first sip it but the bitterness increases in the finish. This is an OK decent beer. If I was at a pub with no decent craft beer on tap, I would not hesitate to order a pint. I don't think, though, it would be one I would purchase to bring home.